We’ve had it up to *here* with schools treating girls unfairly, so when we heard from Seventeen that a high schooler was suspended for trying to raise awareness of her school’s dirty water, we were less than pleased. 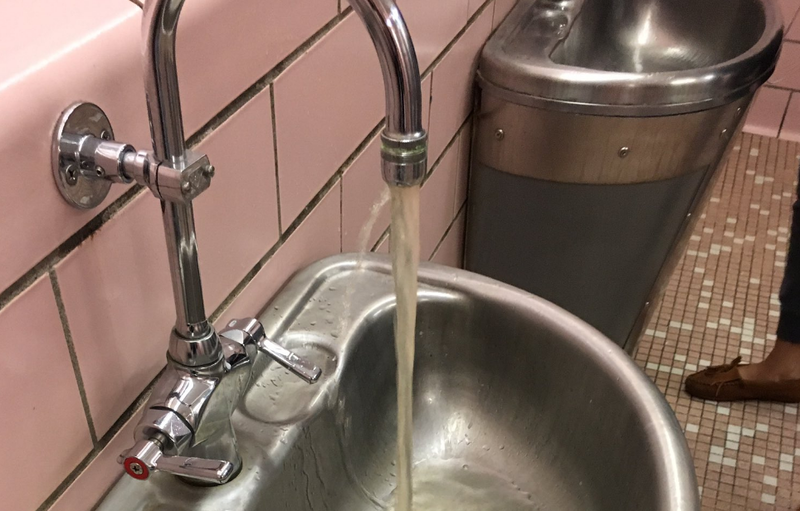 Senior Hazel Juco noticed something was up with her school’s water, so, naturally, she snapped a pic, and took her concerns to social media. "I always hope that someone will see it and want to help us because our school obviously doesn't have money." Following the post, she was suspended. Why? Because she used her cell phone, something that’s prohibited during school hours. But there’s one issue: Kids take selfies all the time, Juco explained, so something was definitely up. Luckily, Juco’s friends had her back. They took to social media themselves to share selfies they’ve taken in the school restroom on their phones to prove that not everyone who uses a phone in the bathroom is suspended. Juco’s friends shared selfies they took in the restroom without getting suspended for it in protest of the school’s unfair treatment. When the high school’s superintendent was asked about the suspension by WXYZ Detroit, she recognized that Juco shouldn’t actually have been suspended. "I am going to make sure the out of school suspension is expunged from the student's record," the superintendent said. Because the cell phone punishment exists to prevent inappropriate photos, Juco shouldn’t have gotten in trouble in the first place, and we’re so happy that things chilled out. There’s clearly a bigger issue at hand than a student taking a photo, namely the dirty water (ahem, there’s also the ongoing contaminated water crisis in Flint), and we hope that all the energy put into Juco’s suspension goes toward figuring out WTF is up with that water.